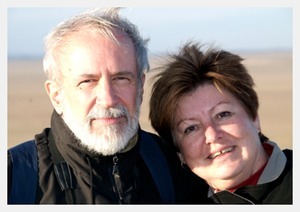 This is the home page for Mike and Suzan Alexander from Ann Arbor. Mike has been a software developer for over 45 years and retired from Arbortext a few years ago. Suzan is an owner of Cultural Encounters, a company that specializes in custom designed and group travel. Part of the joy of travel for Suzan is the opportunity for photography, a hobby she loves. Take a look around at the photo albums and travel blogs we’ve put together for you. You can follow along with us as we tour the world on the QE2, stay in a ger in the Gobi Desert, or admire the natural beauty we find closer to home. We hope you enjoy them. Please contact us if you want more information about anything you see here. We enjoy hearing from visitors to our web site.